A mostly clear sky. Low 46F. Winds N at 5 to 10 mph. 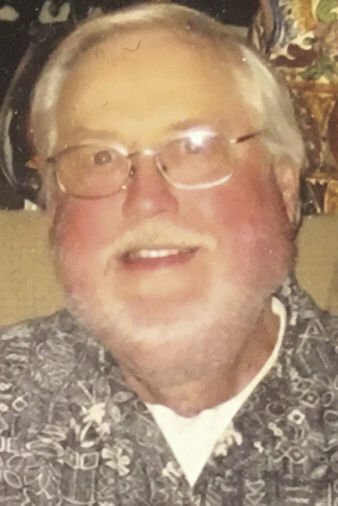 Tom loved the Sierra Nevada Mountains and it was there that he was lucky enough to pass away peacefully at his “cabin” while visiting family for the holidays. He was born in Washington, D.C. and at a young age, traveled across the “Mother Road” on Route 66 to California and that marked the beginning of his love for the open road and the automobile. He was an active member of Wheels ‘N Windmills Car Club for many years. When he was 10, his grandmother gave him a carpenter's kit which he used to build a porch on the back of their home. At the age of 17, he began working in carpentry building boats in Santa Barbara. He obtained his journeyman carpentry degree and went on to become a licensed General Contractor. Many of his works grace our beautiful Santa Ynez Valley streets today. He was a mentor to many young carpenters that have become today's contractors. Tom proudly served in the U S Marine Corp Reserves from 1956-1962 – Semper Fidelis! In 1958, Tom was introduced to his wife, Gretchen, by their dear friend Cindy Reed at the Blue Onion Drive-In in Santa Barbara while cruising State Street. They were married for 58 years. He is survived by his wife, Gretchen; his daughters Amber Olivan (Andy) and April Scholzen (Jon); his sister, Caroline Markulin (John); seven grandchildren; 3 great grand-children; his nieces and nephews; many treasured friends and his beloved dog, Marty. Friends of Tom are invited to join the family to celebrate his life, a life well lived, on February 17th from 2:00-4:00 PM. Please contact the family at ThomasHughes1937@gmail.com to RSVP and for the details.